My 700th post on this blog! For this special occasion, here's a picture of an orb weaver that was in my garden last week. 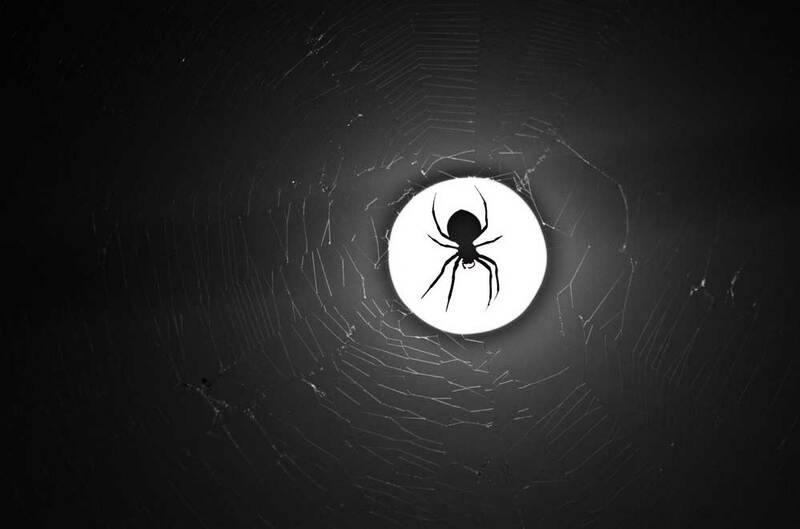 Arachnids have been a kind of totem for Bassling, appearing on the cover of my first album SHAKES but less often since. 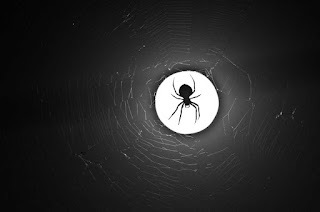 The reason for their disappearance is that I learned how divisive they are, with a significant part of my audience reluctant to pick up a CD with hairy eight-legged artwork! My friend and colleague Derek Motion, with whom I collaborated on the video Petrichor last year, posted on my Facebook wall a link to a story on The Onion titled 'New Music Festival Just Large Empty Field To Do Drugs In'. I think he's giving me a stir about Burning Seed, which I've been going to outside Matong for the last four years, as it's based in a large paddock and people bring their own music and other entertainment. Anyway, I started riffing on the title of the article, first 'New Drug Festival Just Large Empty Field To Do Music In' and then 'New Field Festival Just Large Empty Drug To Do Music In' and it seemed like a good title for a remix of the field recording I posted on Friday for the Naviar Haiku project this week. 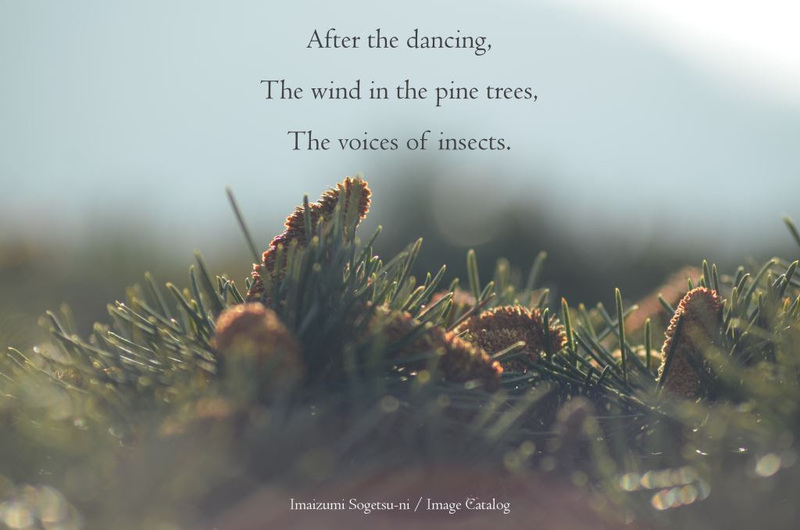 The haiku shared for the Naviar project this week immediately made me think of the recordings I'd made last weekend. It was early Saturday morning and I'd set my camera up on the water trough at a property outside Wagga Wagga, knowing that the local birds, bees and wasps would be visiting for a drink as it was reasonably hot. This is the same set-up that recorded the part used for the Junto this week but a different recording. I regret not using my Zoom H4 with the Rode stereo mic but the VideoMic doesn't sound too bad now I've reduced the hiss. The haiku reminded me of those mornings when I haven't slept and it feels a bit dreamy seeing a new day start after a night listening to the doof of dance music. Y'know the ones where you still hear the beat long after you've left the party? I considered remixing the recording into a dance track but decided that it was a pleasant immersive experience as it is. I might remix it yet though. In the video you can see a Willy Wagtail scaring away other birds. He's the black bird seen at the beginning. There are also a bunch of Sparrows and a brief appearance by a Honeyeater, I think. There's a really big wasp that was hanging around, as well as a lot of bees. As I was watching from afar I could see a Crested Pigeon that was wary of the camera, and you can hear the morning calls of Magpies in the background along with the hum of traffic. The day earlier I'd seen a Double-Barred Finch for the first time and was surprised how tame it seemed, sitting less than a metre away from me. The Junto this week asked for an ambient layer to be added to a track from last week. My track builds on S.H.E. 's Tiny Rhythms, which develops wickedly and was an ideal length -- although I did edit it a little by adding fades at start and end. I've taken the instruction literally and added a recording of the ambiance from where I was staying last weekend. It was early morning when I set my camera recording at a water trough on a hot day, knowing that a variety of birds and bugs would be visiting for a drink. The idea of using magpies seemed appropriate too, as they're known for mimicking the calls of other birds. I think I've read that they sing back the songs of other birds at the end of the day, although I'm yet to recognise this in their singing. They're also known for attacking people during spring, which led to this entertaining video I made with my son Oscar. We're surrounded by electromagnetic fields yet are rarely made aware of their existence. The sound of lightsabers in the Star Wars movies famously used a cathode ray television hum, which sounds a bit like EMF recordings of fluorescent lights. I was reminded of this recently when I met an artist named Corrie who was inspired by these lights. It reminded me that I'd read it's very simple to create a kind of microphone for recording EMFs by using a magnetic coil like the sort found in motors. It also reminded me that I'd saved a couple of these coils for this purpose and it was as easy as soldering a jack onto the red and black wires, leaving the white one that was for earthing. The video above uses no processing other than adding the EMF recording to the left channel and leaving the right channel with the recording from the camera's mic. 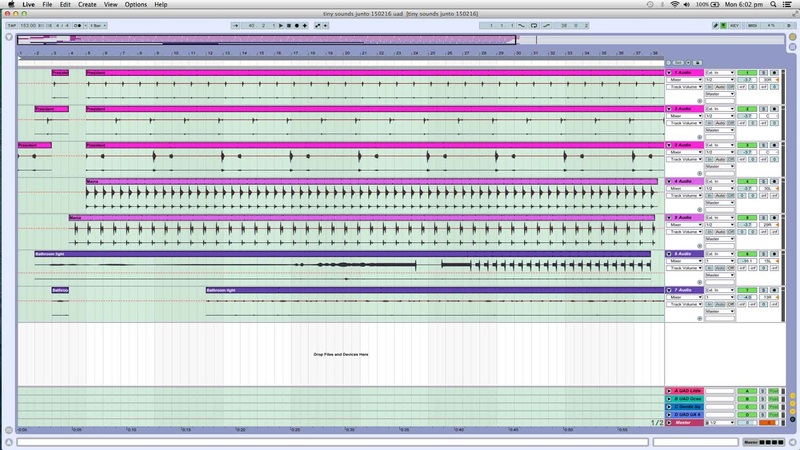 Since making this recording earlier this week I've incorporated it into my Junto and Naviar projects. I'm looking forward to taking it for a walk down the main street of town and hearing how the EMFs sound, which is an idea promoted by Christina Kubisch. 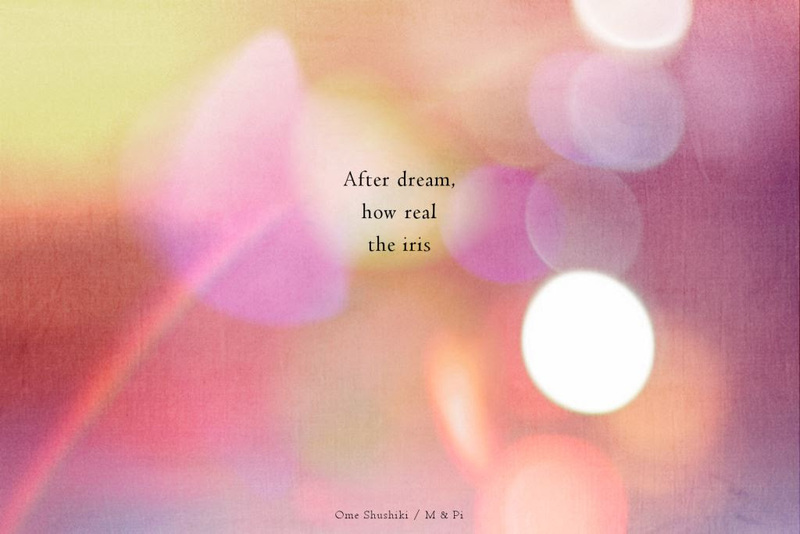 The haiku shared for inspiration by Naviar Records this week made me think of iris blooms, whose bulbs my mother has been providing for gardens at home and work. Then I mentioned it to my partner and she observed the word iris also refers to part of the eye, so then I had another idea. It got me thinking about those dreams when you're not sure whether you're awake or not and the sense of paranoia that can kick in. The idea of using artificial light made sense and I really wanted to add the EMF recording I'd made to the drums I'd recorded last month, so it came together quickly. I experimented with a couple of basslines but ended up using a more rock sounding driving rhythm, although I had to clear some space among the lower frequencies. I also gated the EMF hum to pulse with the drums in places for a more 303-sorta sound and added distortion. "But you never know when the magic will descend on you. You never know when the grooves will open up. And once the magic descends you don’t want to change even the smallest detail. You don’t know what concordance of factors and variables yields that calibrated can’t-miss feeling, and you don’t want to soil the magic by trying to figure it out, but you don’t want to change your grip, your stick, your side of the court, your angle of incidence to the sun." When the Disquiet Junto instructions arrived I was in a projection workshop in Wagga. I'd prepared for recording by packing a few options but in the end didn't get a chance to record. I did, however, have some ideas. Foremost was an idea to finally get around to playing with EMF. I'd read how to use an old motor coil as a microphone for electromagnetic fields a while ago and, when Corrie had talked on her enthusiasm for fluorescent lights, I'd shared the idea. Last year I'd seen a commercial version but it's very easy to find an old motor and add a jack. The other idea was to use my contact microphone with containers to add more resonance. One was a wooden box that came with an upmarket brie, the other a reusable coffee cup that had a nice deep kick sorta thump. Onto these I dropped a needle, rice grains, a button and a sunflower seed. Luckily I'm fighting a mild viral infection and took the day off work, as it meant I could solder a jack onto the blender motor I'd been saving and then record and arrange the parts for this Junto. The instruction to not change the sounds meant I didn't spend too much time on it but I've got a great collection of samples to work into something else now. Couldn't help but use gates, EQ and compression though, which may have been cheating but I did resist re-pitchng and delay. Before I get defensive, let me say that I'm a fan of Chris Randall's writing on his blog and am disappointed that he doesn't share as much of his opinions in recent months. I also use Audio Damage VSTs a lot and there are many unique sounds to be found within them. Now for the defensive bit. A while back I was introduced to the term 'youtard' while reading his blog and immediately felt self-conscious. To be fair, he does use the term to refer to both Youtube as well as some of the amateur content on there. It is both the medium and the media. The term felt like a personal slight and that's probably why I still think about it. I've uploaded countless videos of piddling quality. An early outtake from a recording gathered so many criticisms that I hid it for a while and ended up deleting the comments. In hindsight it was quite funny to see a drummer suggesting I was miming along to a drum machine but at the time it grated. Anyway, I've come to realise that 'youtard' may actually be a fair description. While the noun 'retard' is usually used as an insult these days, the notion of something being 'retarded' as lacking development does still have a certain clinical ring to it. And 'retard' was a perfectly acceptable term in the past to describe various conditions that hinder an individual from reaching their potential. In this way I feel that I am a 'youtard' as I generally use video as a way of demonstrating and, in doing so, am hindered by being both in front of the camera and behind it. When I studied television production we were encouraged to work in teams and it is often the result that the sum of a group effort exceeds individual contributions. So I've come to realise that my work is always going to be retarded in a sense but I won't pretend that my music videos are attempting to compete with commercial content. They are, however, an opportunity for me to learn and improve and enjoy seeing a sense of development. "There's an electronic producer called Leila, who's a friend of mine, and she has wonderful insights into a lot of this stuff. She was talking about equipment and she was saying, 'You should never have too much equipment! ', because any piece of gear you've got in your studio that you don't use is going to be putting you on a guilt trip, making you feel bad when you need to feel good when you're recording! You can end up thinking about the gear when you should be thinking about the music, when the gear's only really there to express it." 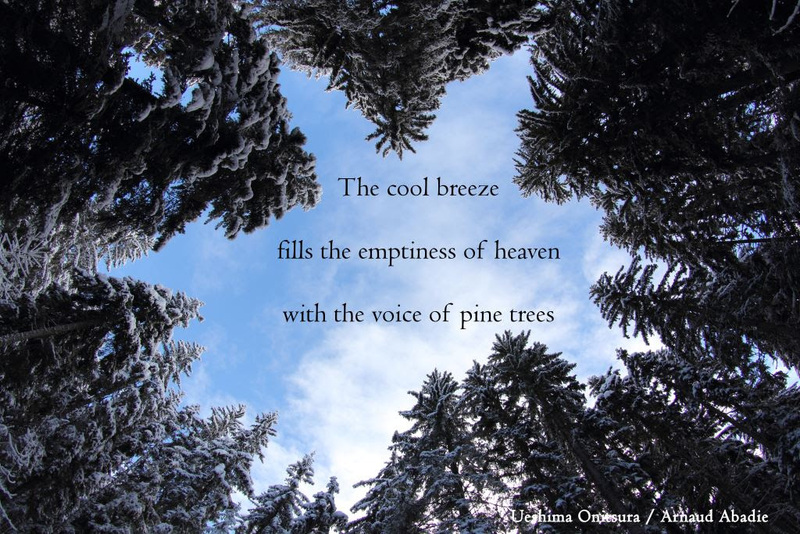 This haiku shared by Naviar Records this week reminded me of one I wrote late last year about the sound of the wind in cypress pines. My track draws on my haiku but the theme is about pantheism and communing with nature. I quite like the line about growing lighter in the shade of a tree. Inspiration for the song comes from Max Martin and Dr Luke, who have been responsible for a number of the biggest hits in pop music over the last decade. I read a beaut piece at Popbitch about their approach and took a few lessons from it, particularly the opening guitar riff. The lyrics were written and recorded quickly. I don't consider myself a singer, so they're very much a 'trace' of an idea (to use the term from John Seabrook's book The Song Machine). I don't really consider myself a guitar player either but, anyway, it's a sketchy sketch too. This track also uses the 3/4 bassline idea that I've been incorporating into various tracks for the last six months or so. And I had the idea that I should also include woodwind instruments, so I added a couple of MIDI clarinets from Ableton Live's sampled instruments. Read a review of Wolf Shield's Residuum here. You can do all kinda things with nothing. That’s the whole thing. I come from a hip-hop background — that music comes from nothingness. It’s an idea. Ideas come from nothing. The birth of a thought — thoughts are nothing till they become something you can see and share. Thoughts don’t matter till people see something they can believe in. That’s why I say hip-hop comes from nothing. Kids who don’t play instruments and only had records made music and a culture that changed the world. Even today. You turn nothingness into something.